Treat yourself and your kitchen with marble or granite benchtops that will withstand the toll of time and still come out strong. 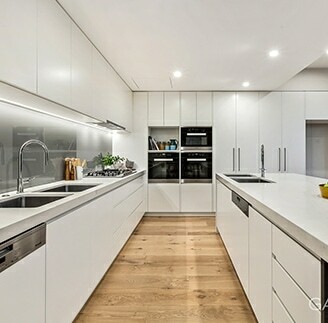 Whether you are renovating your home kitchen, adding the finishing touches to an investment property, or improving your commercial space, Cutting Edge Stone’s marble and granite kitchen benchtops in Melbourne are the most perfect solution. Marble and granite are well respected in the market for a reason. These wonderful products of nature extracted from our loving Mother Earth have long remained a popular choice of material for building counters. When considering their durability and beauty, it’s no wonder these are the two most commonly used materials for manufacturing counters not only in Melbourne but around the world. Realising the durability and strength these materials offer, Cutting Edge Stone have developed expertise in the creation of true works of art through our marble and granite benchtops. Melbourne residents won’t find work like this in any kitchen in the world. Quality kitchen benchtops are right in your backyard, and can be customised to be unique for your home. When you want to change the look of your kitchen, bathroom or any other room, rather than spending large amounts on redecorating and renovating, get marble or granite kitchen benchtops and countertops and add a touch of class to your home. Marble benchtops, granite benchtops and granite countertops can brighten up your place and give it a modern and chic look, which looks more expensive than it actually is. Marble look stone benchtops are highly desirable, and with Cutting Edge Stone, you can get the real thing for an affordable price. Having over 40 years of experience in stone fabrication and installation, our team of experts can provide the best quality services - from designing, cutting, finishing to installing your granite and marble kitchen benchtops and countertops. Everything will be done with precision and accuracy – because there is no alternative to being perfect that is acceptable for us! We also offer a full range of Caeserstone countertops produced to the same exceptional level of quality as our natural stone products. Caeserstone offers all the beauty of marble or granite but without the limitations on colour at an affordable price. For an experience full of colours and patterns, precision and class, contact our Tullamarine, Melbourne showroom and let us design the perfect marble kitchen benchtop to add some old world charm to your home, or choose granite to give a contemporary look to your place. Either way, you’ll be impressed by our team’s ability to provide you with the finest kitchen granite and marble benchtops in Melbourne and beyond! Why granite or marble for my home? Our high-quality workmanship and team of experts can totally transform your place with our collection of marble and granite kitchen benchtops. Melbourne homeowners can balance quality with affordability with our stunning countertops. We have been serving in Melbourne since 2004 and have succeeded in providing precision and innovation in stone fabrication and installation for residents, business-owners and builders alike. Copyright © 2019 Cutting Edge Stone. All Rights Reserved. 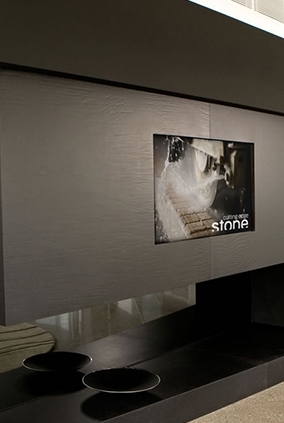 Natural stones are products of nature, & as such no two pieces are exactly alike. Variation in colour, texture and veining are natural characteristics. For estimates on natural stone benchtops or applications, we will require the full name, block number, & slab number(s) if applicable of the natural stone you have selected for your job, along with the company name of the supplier where you have made your selection.